Researchers from the Department of Anthropology at the University of Maryland reveal the surprising scope of new immigrant populations living and working along Maryland’s Eastern Shore and raise concerns about how an already overburdened rural health care system is struggling to meet basic needs. 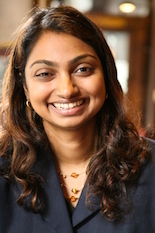 Assistant Professor and medical anthropologist Thurka Sangaramoorthy, Ph.D., M.P.H., and graduate assistant Emilia Guevara conducted interviews with immigrants and health care providers throughout the nine Maryland counties that comprise the state’s Eastern Shore. The research is funded by the College of Behavioral and Social Sciences Dean’s Research Initiative and was recently featured in the Journal of Immigrant and Minority Health. Through extensive interviews conducted over the course of two years, the research team discovered large groups of men, women and children from Haiti and Latin America attracted to the Eastern Shore largely by unskilled labor opportunities in poultry, seafood and other agricultural industries. Because Maryland’s Eastern Shore has some of the highest poverty levels and worst health indicators in the state and country, Sangaramoorthy and Guevara focused on immigrants’ access to health services and challenges faced by local providers in dealing with the population shift. They found that immigrants were facing multiple barriers to health care—lack of health insurance coverage, high health expenditures, language barriers and non-citizenship status—and that a small, aging group of health and social service workers serving the region is being stretched dangerously thin. As other, rural agriculture-based areas of the country—places without previous concentrations of immigrants—are experiencing similar population surges, Sangaramoorthy and Guevara say more research is needed overall on immigrant health and the effect of immigration on rural health care. The research team will continue their work on Maryland’s Eastern Shore this summer for a third year.